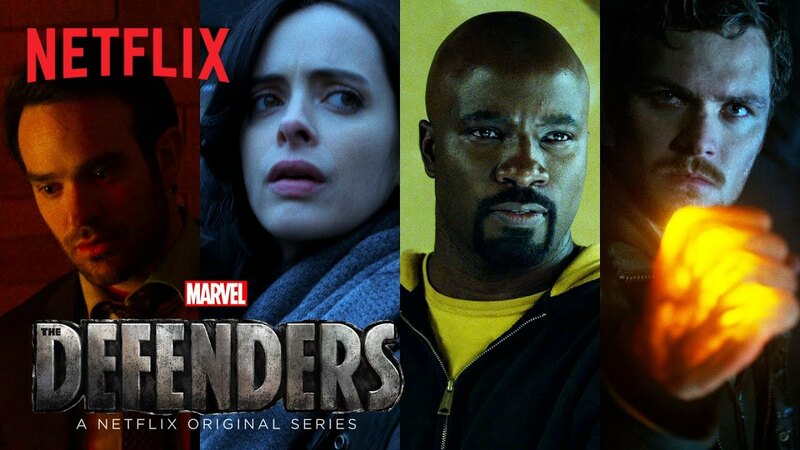 Despite some mixed reviews for the first 4 episodes, I'm still excited to see Marvel's "street-level heroes" - Luke Cage, Daredevil, Jessica Jones, and Iron Fist - unite in Netflix's 'Defenders' series beginning this Friday. This final trailer centers around the sinister Sigourney Weaver as she warns the heroes about how foolish they are to try and oppose her. She makes some ominous threats while a montage of the heroes' significant others is shown. Weaver is calm, cool, and cold-blooded in her delivery. It's also an action-packed trailer with scenes that involve people being thrown out of windows and punched in the face. The consensus so far from critics who were given the first four episodes to review is that 'The Defenders' takes several episodes to pick up steam. They don't even appear on screen together until episode three.Whatever problems there might have been to start the series - pacing, chemistry, casting, tone - will hopefully straighten itself out in the final four episodes. You can begin binging the entire 8-episode season beginning Friday, August 18 on Netflix. Don't call it a team-up. Marvel’s The Defenders focuses on four heroes that come together as an ancient, powerful group threatens all of New York. The Netflix original series launches globally on August 18, 2017.